Denton Branch Falls is a beautiful little single drop fall in North Georgia just short of the North Carolina border. You’ll see some beautiful mountains on the way in and be sure to plan for a day without cellular service! Just north of Chapple Lane on Tate City Road, you’ll find a rustic road cut into the woods on the right side of the road. Depending on the condition of the road and your car, you can choose to drive in and then hike or just hike from Tate City Road. It will add maybe a few hundred yards to your hike and avoid some scratches to your car. 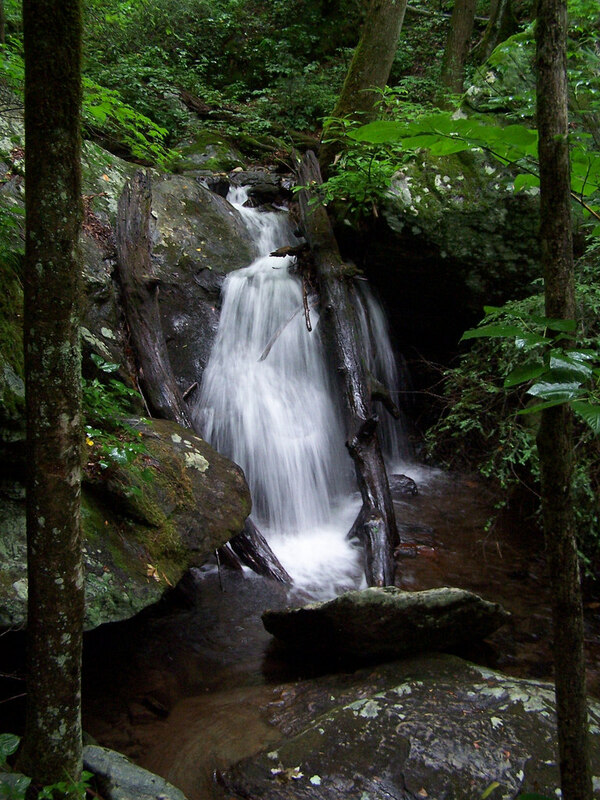 This part of north Georgia features drastic elevation changes, rocky terrain, and plentiful precipitation, making waterfalls abundant. 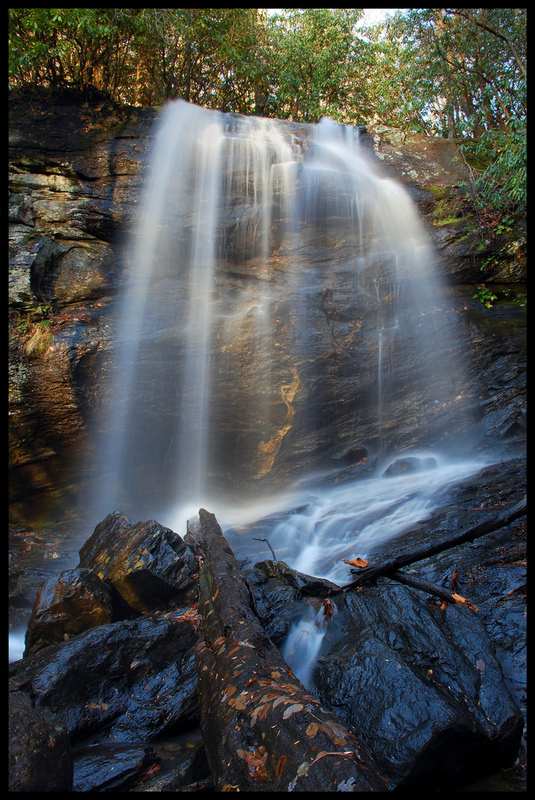 South of Highway 76 and west of Lake Burton, you’ll find Hemlock Falls and Upper Moccasin Creek Falls. Directly east near Sky Valley, you can see Estatoah Falls from an overlook, though it’s not on public property. You can also visit Mud Creek Falls below the dam at the small lake at Sky Valley. 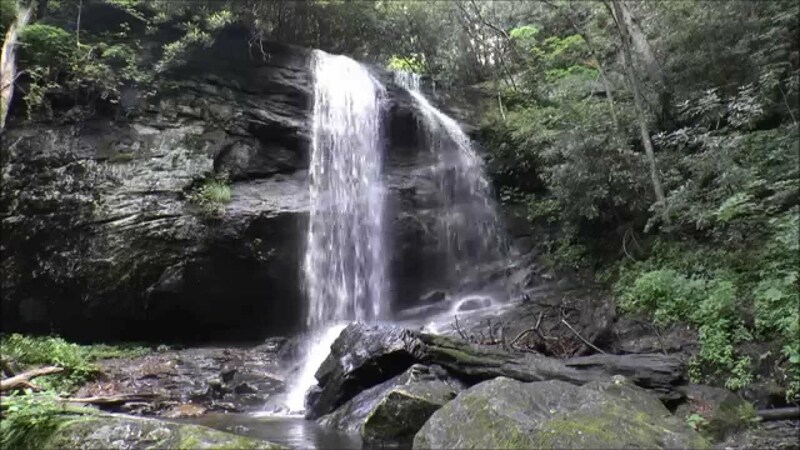 Closer to 441, you could spend a night at Sylvan Falls Bed and Breakfast or visit the falls at Warwoman Dell, Martin Creek Falls and Beckys Branch Falls.